In 2018, you’d struggle to find an online business that isn’t on social media. However, just simply having a social media presence is no longer enough to attract customers and get them to visit your website. Today, successful social media marketing is all about making your business stand out – through regular content posts, highly visual imagery, videos, innovative thinking and much, much more. Being active on social media is a must-have to get your business noticed and, therefore, drive traffic to your website, but you now need to do a LOT more to get users to buy in to your brand. 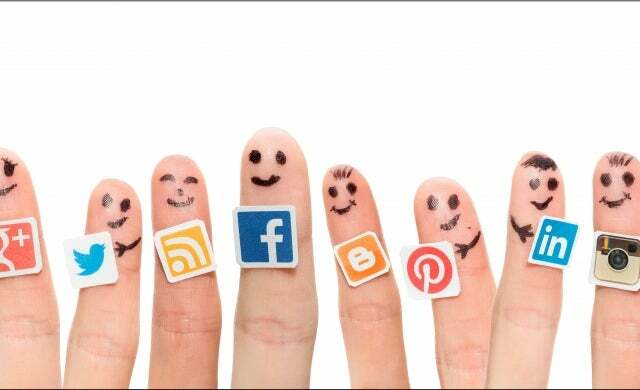 NB: It’s worth noting that a lot more social media activity doesn’t mean a lot more work. Am I experiencing the success on social media that I had hoped my start-up would achieve? Is the content I’m posting grabbing the attention of potential customers, and steering them away from competitors to my website? Am I utilising the latest social media tools and technology? Am I thinking creatively with my business’ social media campaigns? If you answered ‘no’ or ‘not sure’ to any of these questions, then don’t worry as you’re in the right place. Less than five years’ old, London-based flower subscription service Bloom & Wild has attracted more than 100,000 fans across social media. So how has it achieved this? 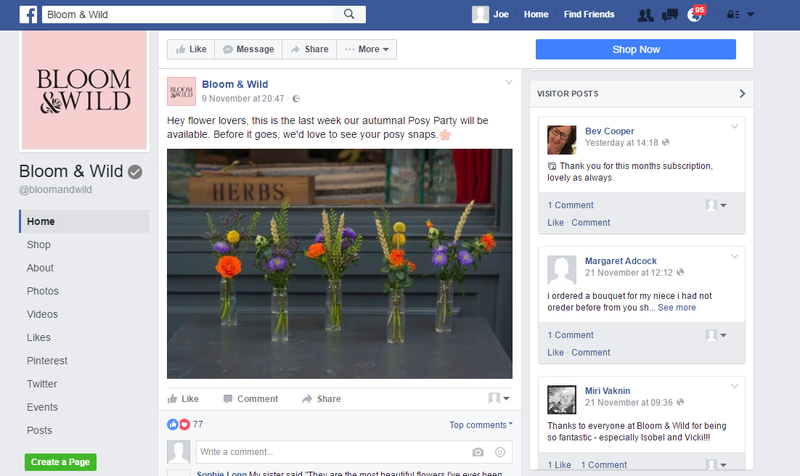 Showcasing customers – Across Facebook and Twitter, Bloom & Wild shares photographs from customers, positive feedback and accompanying testimonials. In fact, customers are encouraged to share photographs of the bouquets they receive in the comment sections and the company responds with friendly reactions. Positive customer reviews with accompanying images are retweeted; a process which encourages customers to engage on social media. 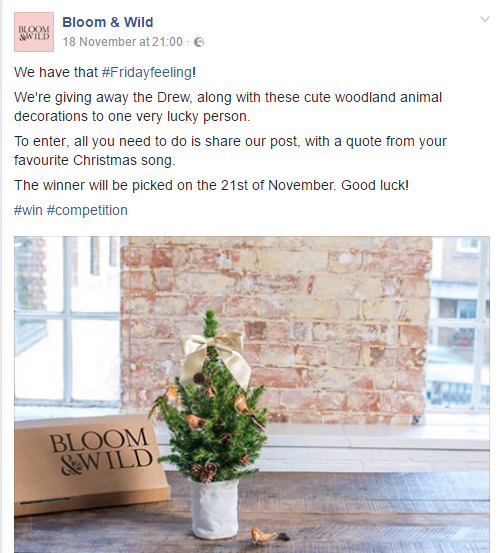 Using social media competitions to promote the brand – The business regularly runs giveaway competitions which ask that users comment on the post to enter. Competitions like this are a great way to incentivise a new audience to follow you on social media. The fact that Bloom & Wild hand picks the winner also increases the sense of personal customer engagement. 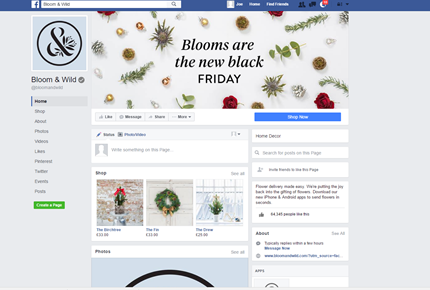 Topical and seasonal content – Whether it’s the run up to Christmas, Valentine’s Day or a prime sales opportunity such as Black Friday, Bloom & Wild always reflects seasonal, topical content in its social media output. This approach can lead to more web traffic, sales and followers at particular times of the year. Pinterest ‘pins’ (perfect for product brands): Flowers are an aesthetic product so Pinterest makes an effective platform for the company to develop its brand image and extend its reach to new users. As well as boards containing images of its own products, the company manages separate boards such as ‘Blooms & Pets’ and ‘Blooms & Bakes’, which tie in with other potential interests of its community – extending the reach of the page. Using social media to promote blog posts – Content is king and any new business should look to maximise web traffic by creating related blog posts. 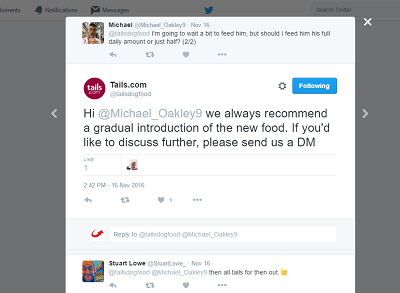 For example, tails.com has a dedicated ‘Dog Blog’ which features regular posts that all link to the company in some way. It then breaks up its posts on social media by sharing these blog posts – like the one below. Humanise your business – Consumers increasingly want to know more about the face behind the brand and social media is a great way to humanise your business and help customers engage with you on a more personal level. 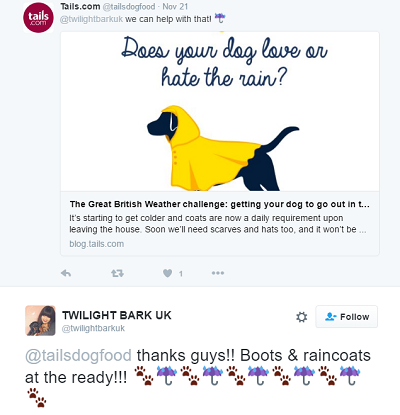 So how does tails humanise its brand? The company shares ‘behind the scenes’ office videos across its social media channels, information about its team, and glimpses into projects that it’s working on. Remember that consumers don’t want to connect with a logo, they want to connect with a person so focus on this in your social media engagement. Be #hashtag savvy – It might sound simple but a brilliant hashtag can make all the difference in elevating your start-up. 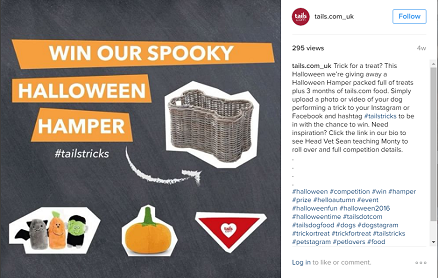 On Instagram, tails.com often uses hashtags to promote competitions and encourage users to engage with its site. 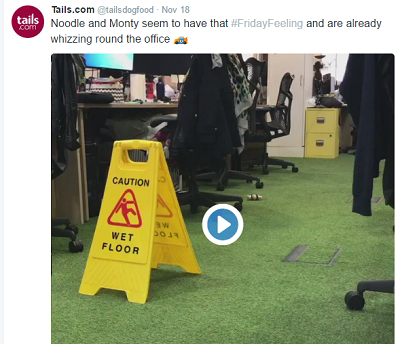 To celebrate Halloween, the company ran a competition where it encouraged users to share videos of their dogs doing tricks with the hashtag #tailstricks. The competition had over 220 entrants, all sharing photos and videos. Startups can also testify to the marketing potential of a brilliant hashtag – the hashtag #StartupsAwards for our Startups Awards 2016 attracted so many users that it went viral and trended on Twitter for London! Our advice? For any campaign, competition or initiative ALWAYS create a dedicated hashtag and encourage your users to jump on it. 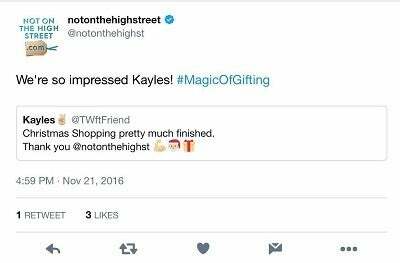 Established over 10 years ago, it’s fair to say that Notonthehighstreet.com can no longer be referred to as a start-up. 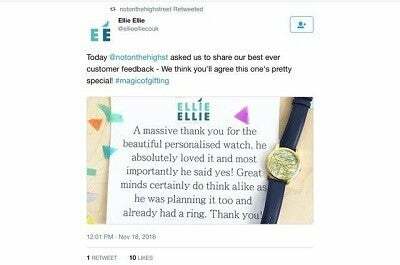 Rethink customer testimonials – Rather than just retweeting, or copying and pasting product reviews, NOTHS asks its partners to share their favourite reviews as graphics which it then retweets. This makes the review stand out while promoting the partner and the unique style of their products. Through retweeting from the partner rather than just tweeting the graphics, NOTHS subtly reminds followers that its products are handmade by different and unique individuals. Depending on what the product/service is that you’re offering, you too can benefit from following a similar approach to reviews. Get in on ‘what’s trending’ – Again, this may seem obvious but if something is trending on Twitter, or if there’s a hashtag that’s becoming popular on Instagram, get in on the trend. 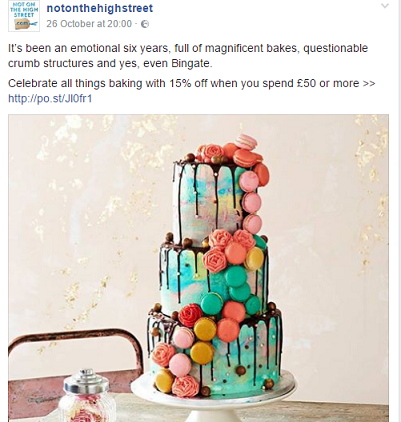 When it was announced last year that the Great British Bake Off would be moving to Channel 4 – a news story that would, on the face of it, have no relevance to NOTHS – the e-tailer jumped in on the trend by sharing posts to its bakery products with a discount code. Follow NOTHS’ approach; don’t be afraid to jump on a hashtag bandwagon. A little personal touch can go a long way – Another way to use social media to humanise your brand and better connect with customers is to speak to your customers on a personal level. Much like social media titans Innocent.com – which is a masters of this – NOTHS always replies to its users on a first name basis. Establishing a tone for your social media conversations is essential and by using their name (and yours) to interact with customers, your brand is immediately perceived as more personal and friendly. While we’ve looked at ways you can use social media to promote your business and help drive traffic to your website, you should also recognise the power of social media to deal with business hiccups. There are ways you can use social media to divert from a crisis and take a proactive approach to resolving a problem – particularly helpful in the early days of launching a start-up! 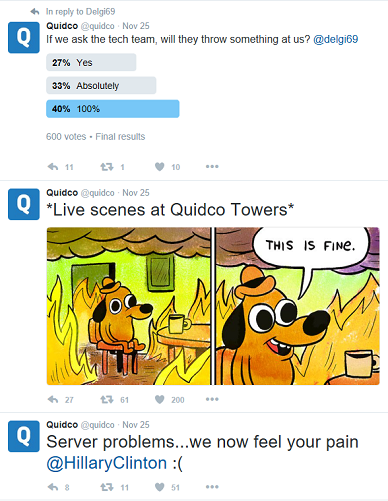 A great example of a business which used social media as a form of crisis management is Quidco.com. On Black Friday 2016 – a major traffic generator for the cashback retail business – the company’s site crashed for several hours which left customers unable to access hundreds of deals that had been advertised. 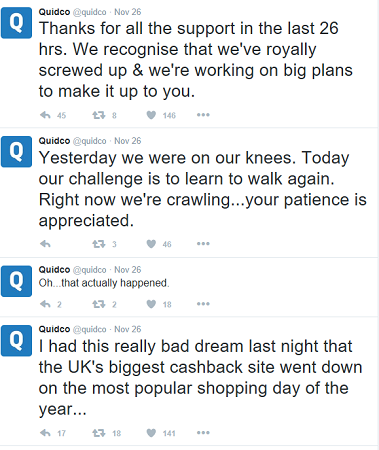 Rather than using its social media feeds to simply apologise to customers or ignore the matter altogether, Quidco took a far more honest approach. Consider Quidco’s approach should you have to deal with a crisis in your business! Don’t just stick to what you know. Really think about what platform will work best for your business, this could mean pinning posts on Pinterest, creating videos for YouTube etc. Finally, always think creatively – even in times of crisis!